Although our store indicates this product is backordered, Customer Service will review all possibilities and contact you as soon as possible. 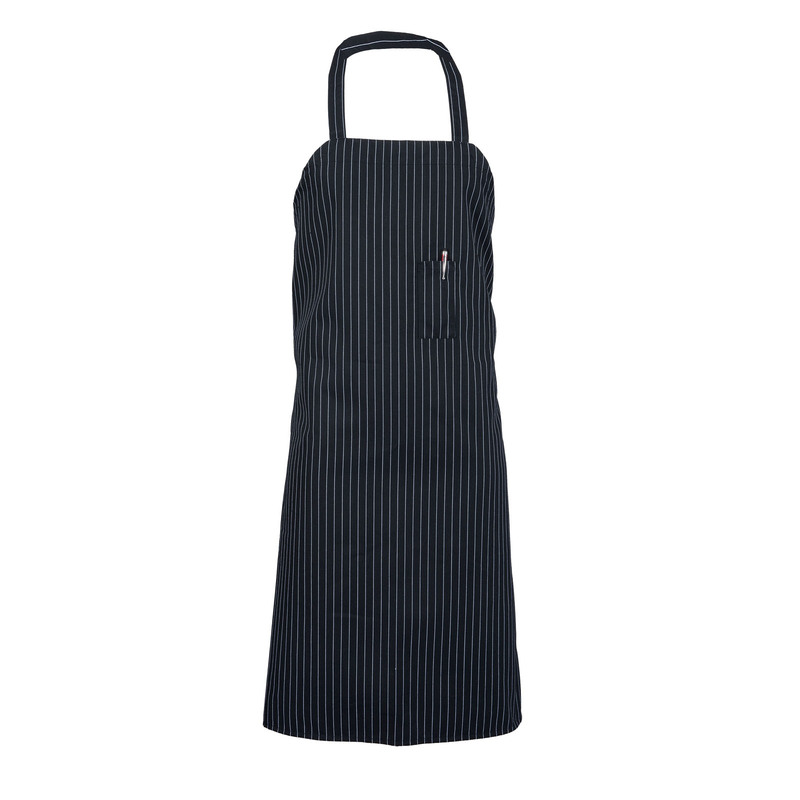 Our Pinstripe Bib Apron with ties that are made from the same material as the apron providing a finished front-of-the-house look. It features one 2"x5" pencil pocket and is cut extra-large to ensure you full coverage. The black and white pinstripe creates a classic and professional look while still maintaining functionality and durability.